We are excited to announce a partnership between UnMute and Allen & Heath (India). 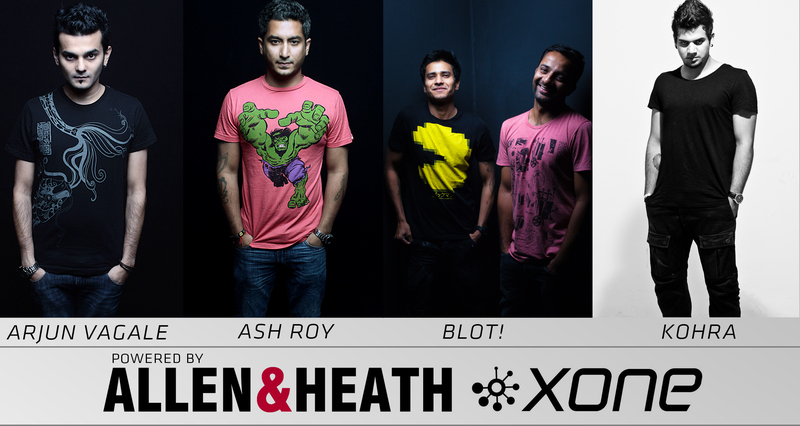 As part of this deal our artists, Arjun Vagale, Ash Roy, BLOT! and Kohra have joined the exclusive worldwide network of Allen & Heath endorsed artists along with Richie Hawtin, John Digweed, Pete Tong, Chris Liebing and Magda to name a few. As part of the arrangement, Allen & Heath (India) will offer a special discount of 30% on list price for any Allen & Heath Xone product ordered through UnMute Agency. Please email dev@unmute.in with “Xone” as your subject. Allen & Heath have been designing and engineering innovative, high performance live sound and studio mixers for over 40 years. We applied these skills to DJ mixers in 1999, and now ten years on, the Xone Series mixers are recognised as the industry standard for robust construction, innovation, and audio fidelity. The introduction of the new DB series has firmly placed Xone products at the cutting edge of DJ performance with their innovative use of digital technology. From the entry level Xone:22 to the club standard Xone:92, from the ingenious Xone:K2Universal MIDI Controller, to the new Xone:DB, every Allen & Heath Xone product is designed with the attention to detail that produces great-sounding, reliable instruments that give years of service. We’re proud to say that there’s a Xone to suit every DJ and every style – from professional club DJ’s, working mobile DJ’s, to dance enthusiasts and electronic music fans. Xone has fully recognised the digital DJing revolution, but hasn’t lost sight of DJ’s wanting to use traditional mixing techniques. Xone – used by the best DJ’s and clubs in the world.